Safety is the number one focus in parking lots for both pedestrians and drivers. Leaves can become wet, slippery, and bunch up in piles with other debris as well as mud on rainy days. One accident can create a lawsuit for your facility and cost you much more than power sweeping. Leaves and water can also create damage to your asphalt, causing greater dangers for drivers and pedestrians. Address any issues in a timely manner and make sure to put safety at the top of your list. Sticking to a regular maintenance schedule enhances safety in your parking lot and creates a clear path for drivers and pedestrians to follow. It also improves drainage by clearing out leaves that can obstruct the flow of water, creating less maintenance headaches. Ensuring you have a healthy parking lot in the fall makes maintenance easier for next season and seasons to come. Water can diminish asphalt over time, forming cracks and potholes. Other serious damages will cost more to repair than maintenance expenses. To avoid these issues, take a proactive—instead of a reactive—approach to address these issues before they ever present themselves. 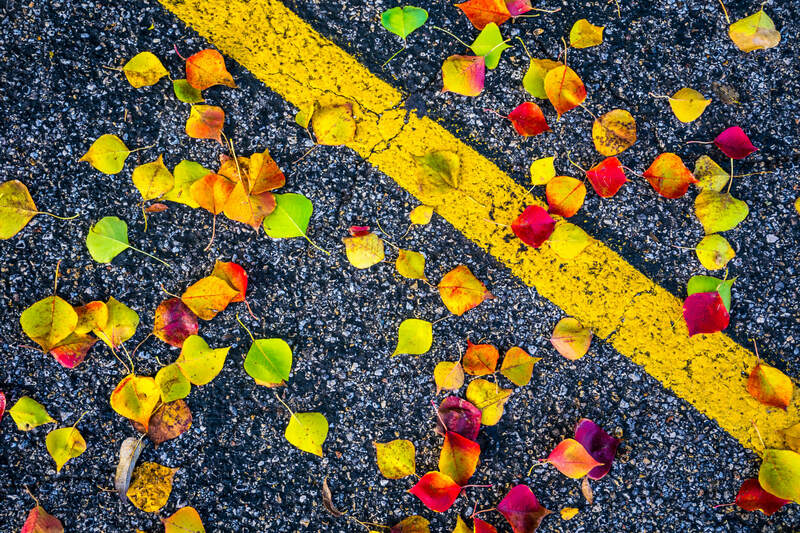 Asphalt is not indestructible and will not last forever, which means taking preventive measures is crucial to keeping your parking lot in good health as the seasons change. The phrase, “Don’t judge a book by its cover,” does not apply in the parking facility space. Creating a clean and inviting area that makes people want to return is crucial. The last thing you want is a nasty comment about your facility or a negative review that could affect your reputation. Enhancing your property’s curb appeal is important because looks do matter, especially because an individual can immediately assess safety based on appearance. A person’s judgements are shaped by their first impression. Even if you are not located near an abundance of trees, it is still essential to abide by a regular maintenance schedule, as dirt and debris are brought in from the road. It may seem like an expense to keep up with maintenance costs, but they are long-term investments in your property and parking lot. Is this regular cost of maintenance a burden when compared to the large bill you will receive if you ignore maintenance altogether? Invest in your property by protecting it year-round. Does your parking lot need fall maintenance before the weather starts posing challenges? Contact Curcio Enterprises, Inc. to keep your parking lot running smoothly and looking its best year-round. We are a dependable, licensed, and insurance business that has been serving the parking industry since 1975.